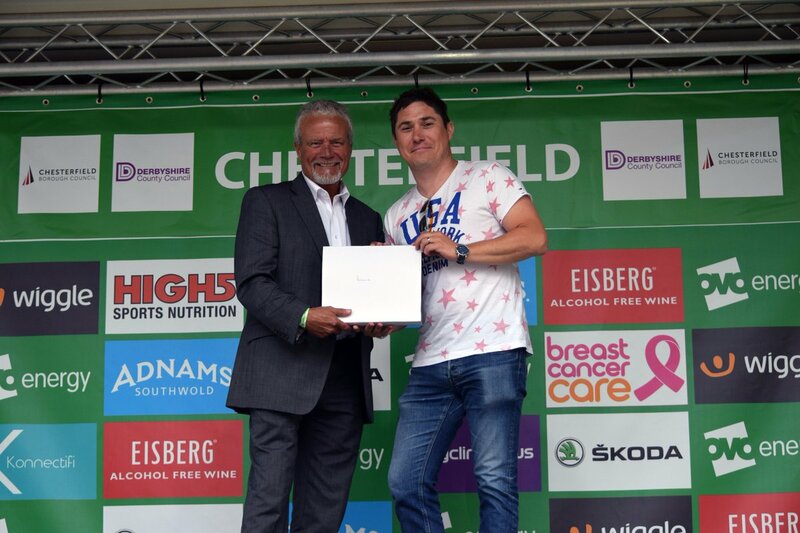 Addooco were pleased to be involved in this years OVO Womens Tour; Stage 4 of which was staged in Chesterfield. Addooco acted as a Stage 4 sponsor in recognition of the importance of bringing such major events to our town. James Wood, Addooco’s Head of Sales and Marketing said “It was very impressive how Central Pavement had been transformed, the whole team did a really great job and the crowds for the finish itself were excellent, kudos to the MC who whipped them up very nicely. It was a great thing to be involved with and I would recommend it to any business, there was quality food and drink included, an excellent viewing area and the presentation of a commemorative plaque. I even got chance to meet overall winner Poland’s Kasia Niewiadoma”. Nice to see sports people from all over the world, at the top of their game in town. Let’s hope this becomes a regular fixture in Chesterfield’s future calendar!